Galen Leather Notebook Cover and Wallet Review and Giveaway – Pens! Paper! Pencils! 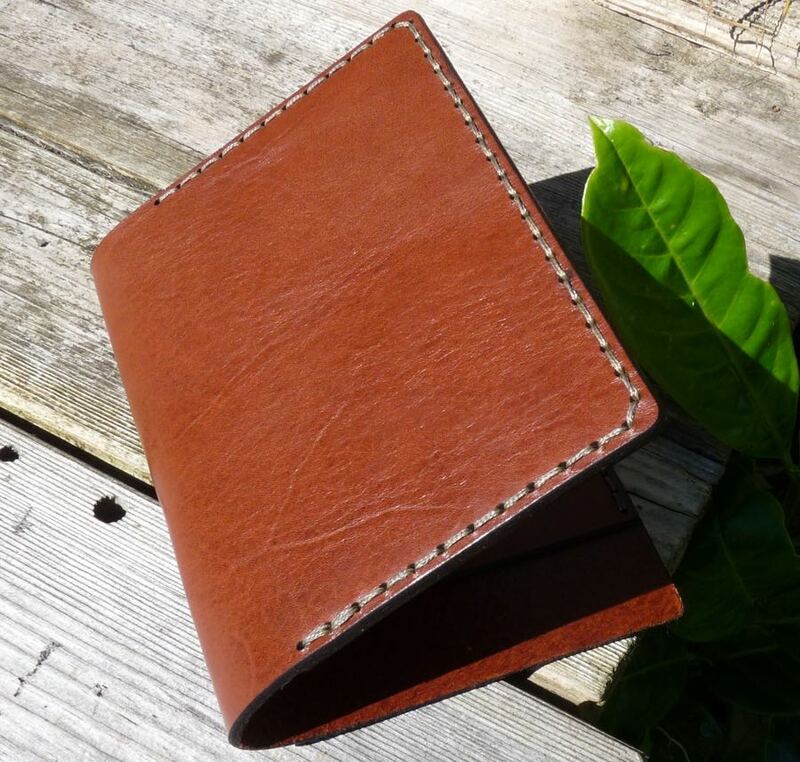 Galen Leather produce a couple of versions of their wallet/pocket notebook combination. They sent me the one with two horizontal credit card slots and I’ve been using it since it arrived (about three months now). I liked it and so as I’m no longer keeping products that have been sent to me I bought one for myself. 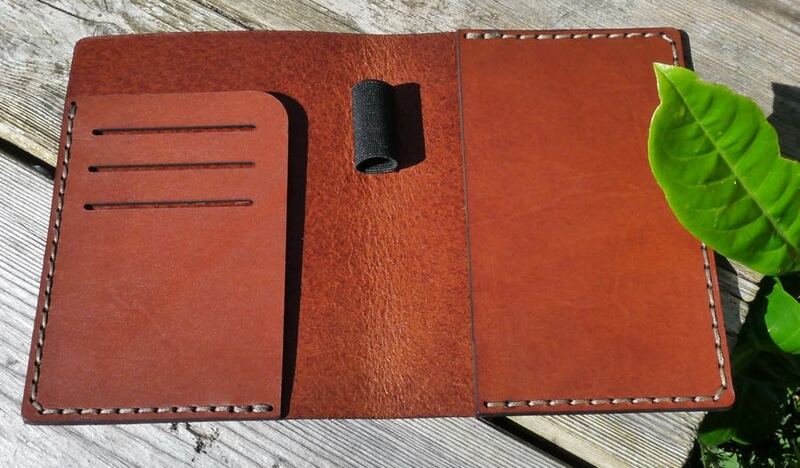 I ordered the second version that Galen Leather make, the one with three vertical credit card slots. Rather than give away the wallet that’s been in my pocket for several weeks I’m going to keep that one and give away the brand new wallet/cover. This has only been out of the box to have its photo taken and to enable me to see how it differs from the wallet I’ve been using. Read on for a full review and for details about how you can win it. The two-slot version, like all Galen Leather’s products, is hand-made from good quality leather. 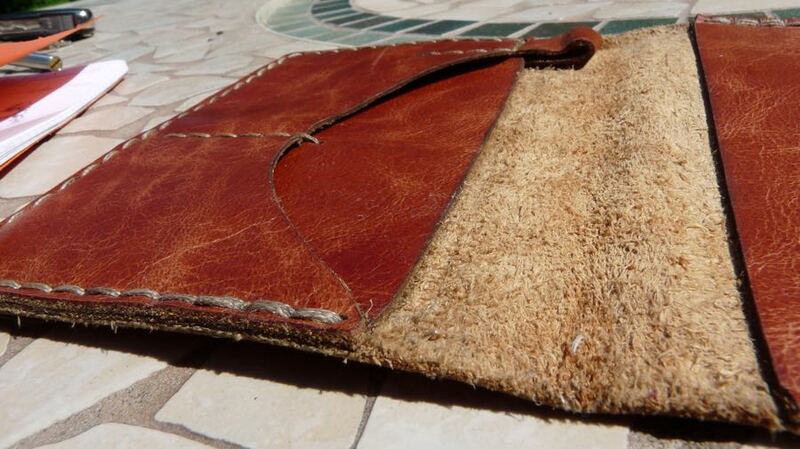 It isn’t as thick as some similar wallets but it’s less than half the cost of most of those. The leather, while not the best money can buy, is plenty good enough and will last longer than you will, I’m sure. Certainly longer than me. The stitching is good and doesn’t look as if it will ever come undone. One advantage of slightly thinner leather is that it’s flexible from the start and doesn’t add huge amounts of bulk to the contents. If you’re keeping it in your pocket every little helps. The disadvantages are that it moulds itself around whatever you’ve got in it and it doesn’t have quite the luxurious feel of a good thick piece of quality cow skin. 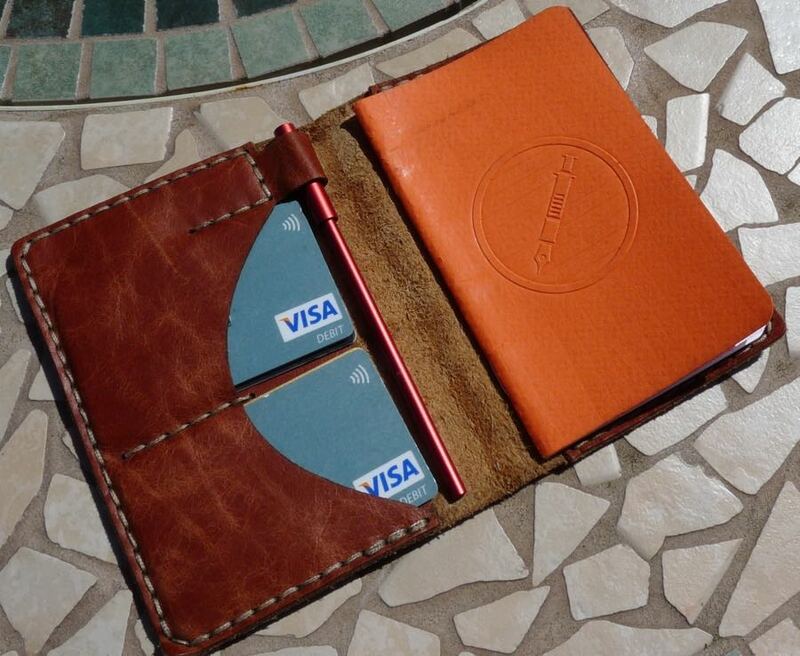 The right-hand side of the open wallet holds an A6 (Field Notes) sized notebook. The back cover slides in and leaves space for notes to slip in behind. British notes don’t fit without folding but Euros are fine. The left-hand side has a pen loop and two credit card slots. The position of the pen loop is directly in the way of the card slots which means it’s often a little fiddly to take out a card. 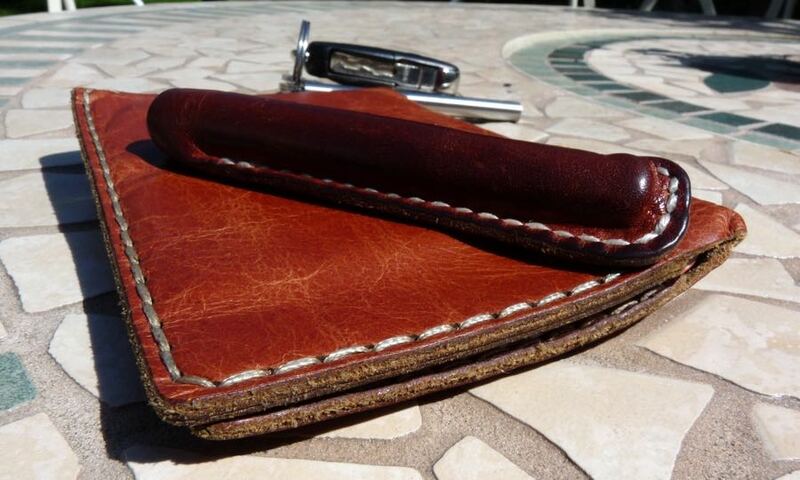 As it’s made from leather rather than elastic it’s limited in the range of pens it can hold securely. 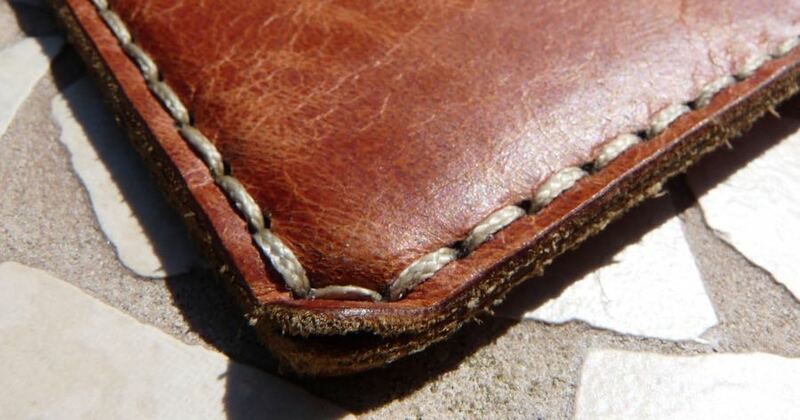 Pens are likely to poke out of the top of the wallet if clipped in but if you don’t clip it your pen in then it will keep sliding out. It isn’t the best pen loop ever but it’s there if you want it. The card slots will each accept three cards. You could stuff a fourth card in but it starts getting too tight to easily remove one you might need. The upper slot isn’t stitched all the way along the top which means you sometimes accidentally wedge a card in at an angle and have to wiggle it about to get it all in. If you are very rich you can stuff even more notes into this side, too. All in all, then, this two-slot wallet and cover looks lovely and, despite a couple of design choices that don’t quite work as well as they could, it’s a very functional item. Mine arrived at about the same time I was wondering if carrying a notebook and cover around in my back pocket was responsible for neck pain I was experiencing (due to, perhaps, bad posture) and being able to combine a notebook cover with a wallet enabled me to put it in a front pocket alongside my phone. I’ve been using it ever since and although the left-hand side could be better designed, it hasn’t stopped this being with me and used by me every day. The three-slot version is made from thicker leather and so feels more luxurious but will need more breaking in and adds a little more bulk. The pen loop is placed along the central spine and is made from elastic. This puts it a little more out of the way and is better for holding different pens securely. The right-hand side is much the same as the two-slot cover but the left-hand side has three slots cut into it horizontally. There’s nothing behind these that could top you pushing the cards in too far and so causing you issues when you try to get one out. 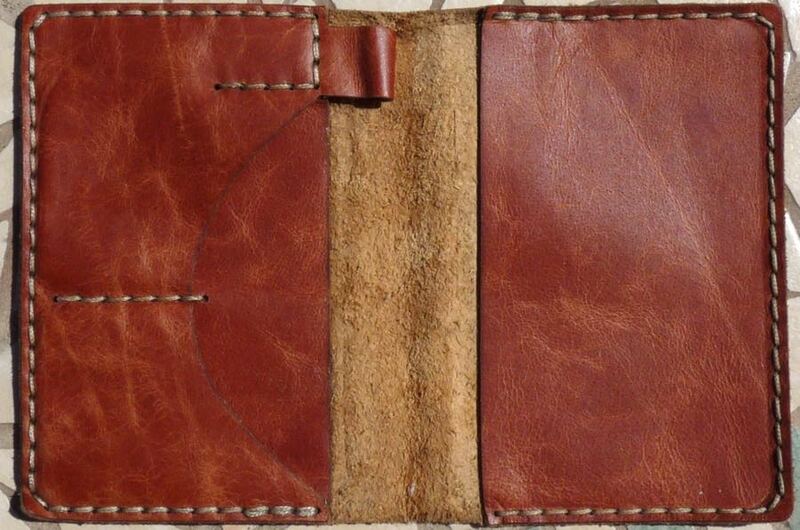 They’re big enough to hold two cards in each, once the leather’s softened a little. You can put your wads of cash in either side. This is the wallet I’m giving away. You can enter in four different ways and although you can only enter once in each way, you can do all four if you wish. The giveaway ends at 9am GMT on Saturday September 3rd 2016. I’ll then list all the entries and use random.org to pick a winner. The brother-sister duo who are Galen Leather are making excellent products at great prices. They are not quite of the quality of, say, One Star Leather or (the sadly shuttered) Davis Leatherworks but they are significantly cheaper. 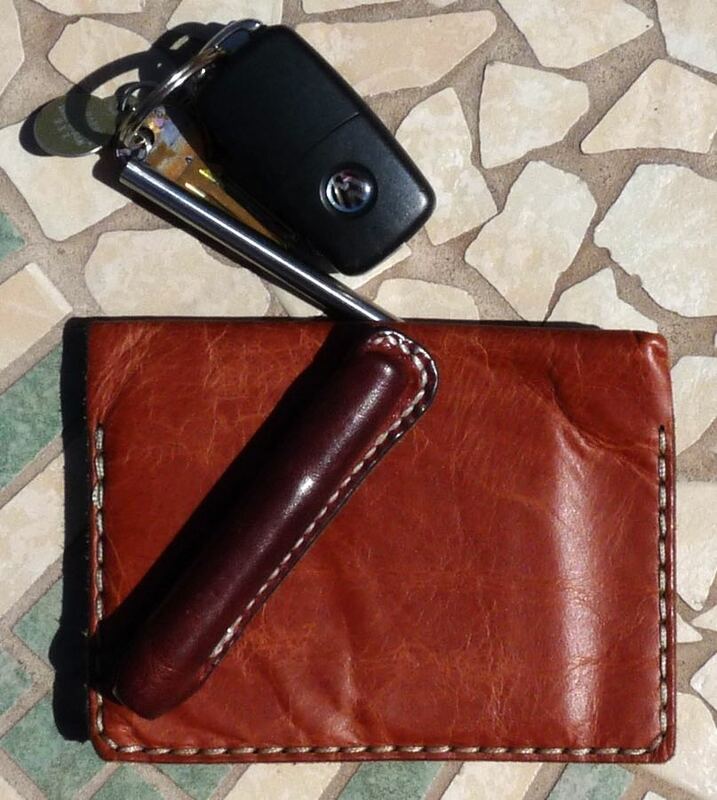 If money is no object then you have a few more options but if you want a great cover/wallet combo at a price that will still leave you with some cash to put into it, Galen Leather is a good place to try. You can find many more reviews of Galen Leather items on Pennaquod. One can never have too much leather! What a lovely wallet! Thanks for the giveaway! These leather covers look gorgeous! Leather, black or brown, will always look cool. Looks like a nice companion to my Filofax. Thanks for the giveaway. This looks fabulous – thanks Ian! Good review. It looks great. Great design and a size that really makes it portable. Thanks for the giveaway! Beautiful products. Thank you and Galen for the giveaway. Looks excellent. Thanks for the great review.